It's summer, the time when you want to jump in a pool or the ocean and start swimming. Maybe when you get to the pool you see how crowded it is with other swimmers and you stay out of the water because it seems like there just isn't enough room for you. Or maybe you are standing on the beach at the edge of the ocean and you are afraid to go in because you are afraid that you will be eaten by the sharks. Life is like swimming. We can be afraid to dive in because we are afraid that there are already too many people doing what we want to do, or we are afraid of the human sharks that may attack us if we try. The things is, we can never succeed in life if we remain standing at the edge of the pool or the ocean. Failure happens when we stop trying. I know that in my life I have had many times when I have seen myself as a failure, but I realize that the only times I actually failed were the times I stopped trying. When I learned from my mistakes and kept swimming I was never a failure. 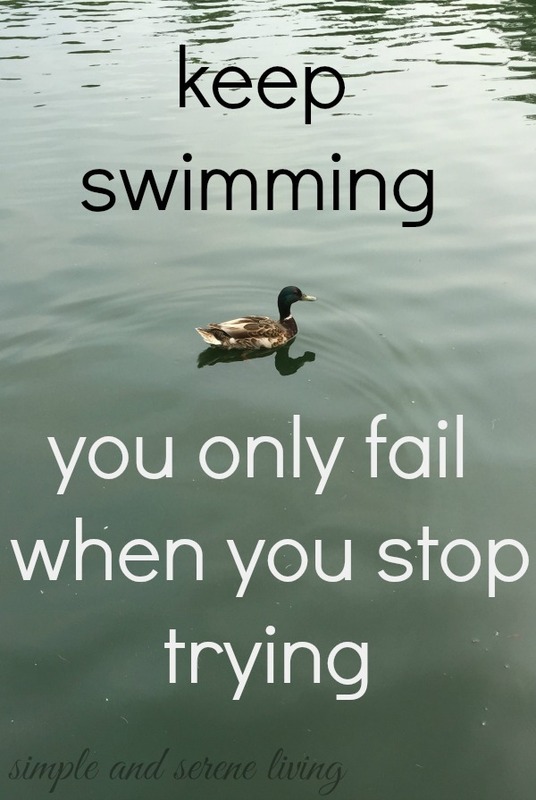 There is always going to be a bully in the pool that splashes water in your face and pushes your head under, or a wave in the ocean that knocks you over, but if you get up and keep swimming you will never be a failure because the act of trying equals success. So come on in and keep trying. The water is great. I think the older we get, Jemma the more we realize this, and as we look back we can see how well it works. How wonderful that you were able to pass it on to your grown children. You have had a tough year, Diane and I hope you are feeling much better. Unfortunately it is hard to avoid accidents and they can certainly case fear. I hope you are able to overcome it. Laura, you come up with the best metaphors for life! I am so happy that they are helpful, Jane. This is so true!! Oh my, I'm swimming right now and feeling better every day! The fact that you have tried something, Cindy make you courageous and a winner! Great points, Laura. I have a hard time keeping going in one area. I've wanted to give up, but I'm not going to! Thanks for the reminder. I am so glad to hear that you are not giving up, Cheryl. Thank you, Laura. I needed this post.